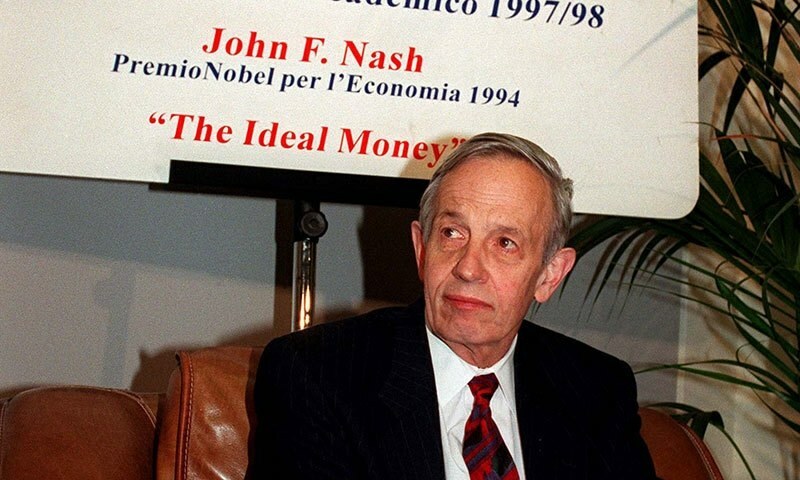 — John Forbes Nash Jr.
Today (I had first blogged this on 23rd May 2016, incidentally also the day Calvin lost Hobbes) is the first death anniversary of Alicia and John Nash. I would have loved to have met them. Most probably you have no clue who they were. Let me just say this that their story to me was the most romantic that I have ever known. John Forbes Nash Jr., a mathematical genius whose struggle with schizophrenia was chronicled in the 2001 movie A Beautiful Mind. He won the Nobel Prize in economics in 1994 for his work in game theory, which offered insight into the dynamics of human rivalry. It is considered one of the most influential ideas of the 20th century. Watch the whole movie, A Beautiful Mind, by clicking below. You decide for yourself who was more lucky, John or Alicia? Nash: What truly is logic? Who decides reason? My quest has taken me to the physical, the metaphysical, the delusional, and back. I have made the most important discovery of my career - the most important discovery of my life. It is only in the mysterious equations of love that any logic or reasons can be found. I am only here tonight because of you. Nash: You are the only reason I am. You are all my reasons. Thank you. I later discovered that Nash had actually not made any Nobel Prize speech. You would agree that I shouldn't let true facts spoil an absolutely awesome story.